"If Christ is risen - then nothing else matters. And if Christ is not risen - then nothing else matters." Jaroslav Pelikan was born in Akron, Ohio on December 17, 1923, to parents from Slovak families, who were born in Slavic Europe. Dr Pelikan’s father was a Lutheran pastor and his paternal grandfather was a bishop of the Slovak Lutheran Church in America. For most of his life Dr Pelikan belonged to the Lutheran Church, but in 1998 he and his wife Sylvia were received into the Orthodox Church in St Vladimir’s Seminary Chapel.Members of Dr Pelikan’s family remember him saying that he had not as much converted to Orthodoxy as "returned to it, peeling back the layers of my own belief to reveal the Orthodoxy that was always there." Dr Pelikan often quoted a line from Goethe’s “Faust,” which says, “What you have as heritage take now as task, and thus you will make it your own.” Unlike most church historians, who focus on one period or one aspect, Dr Pelikan ranked as one of the only authorities in the entire field of Christian history. His books and articles included subjects as diverse as the New Testament, the Reformation, Saint Augustine, Kierkegaard and medieval philosophy, and he is credited with broadening Western church scholarship to include the Eastern Orthodox tradition. Dr Pelikan received honorary degrees from 42 universities all over the world. He delivered the prestigious Guifford Lectures in Scotland and the Gilson Lectures in Toronto; President Bill Clinton appointed him to the President’s Committee on the Arts and Humanities, and at the age of 80, he was appointed scholarly director for the “Institutions of Democracy Project” at the Annenberg Foundation. Dr Pelikan was a member of the faculty of Yale University since 1962. In 1972, Yale appointed Dr Pelikan as Sterling Professor of History. Before joining the Yale faculty in 1962, Dr Pelikan taught at Valparaiso University in Indiana, Concordia Seminary and the University of Chicago. 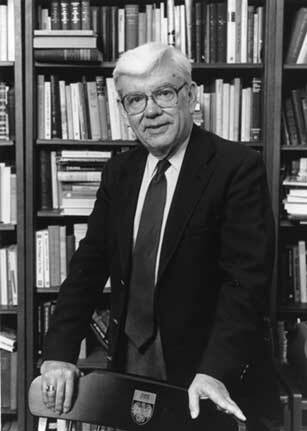 His many positions included terms as dean of the Yale Graduate School (1973-78), as president of the American Academy of Arts and Sciences (1994-97), as board chairman of the American Academy of Political and Social Science (2003-04) and as founding chairman of the Council of Scholars at the Library of Congress. Source: Dr Jaroslav Pelikan falls asleep in the Lord St. Vladimir's Theological Seminary. Jesus on Safari: The Legacy of Jaroslav Pelikan, by Timothy George. First Things 01/26/15. In Memory of Jaroslav Pelikan: A Homily Delivered at His Funeral Vigil Service, by Fr. John H. Erickson, Dean. St. Vladimir’s Orthodox Theological Seminary. May 16, 2006. Delighted by Doctrine, by Timothy George. Christianity Today: Christian History. Summer 2006. The Doctrine Doctor, by Mark A. Noll. Christianity Today Online. December 2004. Jaroslav Pelikan: Doctor Ecclesiae, by Robert Louis Wilken. First Things August/September 2006. The Achievement of Jaroslav Pelikan, by David W. Lotz. First Things June/July 1992. New Light on the Torah A review of The Five Books of Moses: A Translation with Commentary, by Robert Alter. Claremont Review of Books Summer 2005. The Three Rings A review of The Monotheists: Jews, Christians, and Muslims in Conflict and Competition, by F. E. Peters. Claremont Review of Books Fall 2004. A Personal Memoir: Fragments of a Scholar's Autobiography a short personal memoir for a festschrift celebrating his 80th birthday. The Will to Believe and the Need for Creed , presented on the evening of December 5, 2003 at Dwight Chapel in conjunction with a performance, "Concert of Credo Settings in Honor of Jaroslav Pelikan." The Predicament of the Christian Historian Center of Theological Inquiry. Princeton, NJ. Reflections Vol. 1, 1997. THE Filioque An essay written by this ex-Lutheran scholar before his recent conversion to Orthodoxy. From The Melody Of Theology: A Philosophical Dictionary (Harvard U. Press) 1988. Why We Need Creeds Interview with Beliefnet.com. The Christian Tradition: A History of the Development of Doctrine, 5 vols. (1973–1990). Chicago: University of Chicago Press. [From the Publisher] The line that separated Eastern Christendom from Western on the medieval map is similar to the "iron curtain" of recent times. Linguistic barriers, political divisions, and liturgical differences combined to isolate the two cultures from each other. Except for such episodes as the schism between East and West or the Crusades, the development of non-Western Christendom has been largely ignored by church historians. In The Spirit of Eastern Christendom, Jaroslav Pelikan explains the divisions between Eastern and Western Christendom, and identifies and describes the development of the distinctive forms taken by Christian doctrine in its Greek, Syriac, and early Slavic expression. [From the Publisher] Jaroslav Pelikan begins this volume with the crisis of orthodoxy that confronted all Christian denominations by the beginning of the eighteenth century and continues through the twentieth century in its particular concerns with ecumenism. The modern period in the history of Christian doctrine, Pelikan demonstrates, may be defined as the time when doctrines that had been assumed more than debated for most of Christian history were themselves called into question: the idea of revelation, the uniqueness of Christ, the authority of Scripture, the expectation of life after death, even the very transcendence of God. [From the Publisher]: This penultimate volume in Pelikan's acclaimed history of Christian doctrine—winner with Volume 3 of the Medieval Academy's prestigious Haskins Medal—encompasses the Reformation and the developments that led to it. [From the Publisher]: Jaroslav Pelikan begins this volume with the crisis of orthodoxy that confronted all Christian denominations by the beginning of the eighteenth century and continues through the twentieth century in its particular concerns with ecumenism. The modern period in the history of Christian doctrine, Pelikan demonstrates, may be defined as the time when doctrines that had been assumed more than debated for most of Christian history were themselves called into question: the idea of revelation, the uniqueness of Christ, the authority of Scripture, the expectation of life after death, even the very transcendence of God. Brazos Press, ISBN 1-58743-094-0. A theological Bible commentary. [From the Publisher]: This superb and enduring contribution to the Johann Sebastian Bach tricentennial focuses on Bach's vocation as a musician of the church and on his work as a theologian. Although Bach is most often remembered for his music, Jaroslav Pelikan here reminds us of the message of Bach's works and of his understanding and devotion to his vocation within the church. By relating Bach's work to the heritage of the Lutheran Reformation — musical as well as theological — Pelikan places Bach within the context of the theological currents of his time. Maintaining that the Reformation heritage provides the underlying thematic and religious inspiration for Bach's work, Pelikan delves into three main movements within Lutheran theology of the seventeenth and eighteenth centuries as a framework for understanding Bach. He also demonstrates how Bach's sacred music complements and illustrates these theological trends. In the second portion of the book, Pelikan examines the theological motifs that are reflected in the texts Bach used and in the settings he provided for these texts. The author points to Bach's particular interest in the meaning of the cross, and to redemption and atonement through the death and resurrection of Christ. He notes the centrality of the 'Passions' in Bach's lifework and their importance for the history of the doctrine of atonement. 'Bach Among the Theologians' represents a unique inspirational complement to the many works that concentrate primarily on the composer's personal or secular life. [From the Publisher]: The momentous encounter between Christian thought and Greek philosophy reached a high point in fourth-century Byzantium, and the principal actors were four Greek-speaking Christian thinkers whose collective influence on the Eastern Church was comparable to that of Augustine on Western Latin Christendom. In this erudite and informative book, a distinguished scholar provides the first coherent account of the lives and writings of these so-called Cappadocians (named for a region in what is now eastern Turkey), showing how they managed to be Greek and Christian at the same time. Jaroslav Pelikan describes the four Cappadocians—Gregory of Nazianzus, Basil of Caesarea, Gregory of Nyssa, and Macrina, sister and teacher of the last two—who were trained in Classical culture, philosophy, and rhetoric but who were also defenders and expositors of Christian orthodoxy. On one issue of faith and life after another—the nature of religious language, the ways of knowing, the existence of God, the universe as cosmos, time, and space, free will and immortality, the nature of the good life, the purpose of the universe—they challenged and debated the validity of the Greek philosophical tradition in interpreting Scripture. Because the way they resolved these issues became the very definition of normative Christian belief, says Pelikan, their system is still a key to our understanding not only of Christianity's diverse religious traditions but also of its intellectual and philosophical traditions. This book is based on the prestigious Gifford Lectures, presented by Jaroslav Pelikan at the University of Aberdeen in 1992 and 1993. [From the Publisher] Eminent theologian Jaroslav Pelikan has been translating, editing, and studying the Christian creeds and confessions of faith for sixty years. This book is the historical and theological distillation of that work. In Credo, Pelikan addresses essential questions about the Christian tradition: the origins of creeds; their function; their political role; how they relate to Christian institutions, worship, and service; and how they help to explain the major divisions of the Christian church and of Christian history. Credo stands as an independent reference work devoted to the subject of what creeds and confessions are and what their role in history has been. [From the Publisher]: In this erudite and beautifully written book, an eminent scholar meditates on the theological implications of Goethe's Faust. Jaroslav Pelikan reflects on Goethe's statement that he was a pantheist when it came to science, a polytheist in art, and a monotheist in ethics, and he uses it for the first time to analyze Faust's development as a theologian. By so doing, Pelikan enables us to see Goethe's masterpiece in a surprising new light. Pelikan begins by discussing Faust's role as natural scientist or pantheist. He examines Faust's disenchantment with traditional knowledge, considers his interests in geology, oceanography, and optics, and analyzes his perception of nature as a realm inspirited throughout by a single unifying Power. Pelikan next follows Faust on his journeys to the two Walpurgis Nights, where he shows how Faust reveals his delight in the polytheistic extravaganzas of Germanic and especially of Greek mythology. Finally Pelikan describes the operatic finale of the book, where Faust's spirit is drawn upward to salvation by the Eternal Feminine, and he argues that this marks Faust's evolution into moral philosopher and monotheist. Pelikan's analysis thus reveals thematic unities and a dialectical development of Faust's character that have been unnoticed heretofore. [From the Publisher] Both the Bible and the Constitution have the status of “Great Code,” but each of these important texts is controversial as well as enigmatic. They are asked to speak to situations that their authors could not have anticipated on their own. In this book, one of our greatest religious historians brings his vast knowledge of the history of biblical interpretation to bear on the question of constitutional interpretation. Jaroslav Pelikan compares the methods by which the official interpreters of the Bible and the Constitution—the Christian Church and the Supreme Court, respectively—have approached the necessity of interpreting, and reinterpreting, their important texts. In spite of obvious differences, both texts require close, word-by-word exegesis, an awareness of opinions that have gone before, and a willingness to ask new questions of old codes, Pelikan observes. He probes for answers to the question of what makes something authentically “constitutional” or “biblical,” and he demonstrates how an understanding of either biblical interpretation or constitutional interpretation can illuminate the other in important ways. [From the Publisher] One of the most highly regarded works of intellectual history of the past decade, Jesus Through the Centuries is an original and compelling study of the impact of Jesus on cultural, political, social, and economic history. Noted historian and theologian Jaroslav Pelikan reveals how the image of Jesus created by each successive epoch—from rabbi in the first century to liberator in the nineteenth and twentieth centuries—is a key to understanding the temper and values of that age. [From the Publisher]: The Virgin Mary has been an inspiration to more people than any other woman who ever lived. For Catholics, Protestants, Jews, and Muslims, for artists, musicians, and writers, and for women and men everywhere she has shown many faces and personified a variety of virtues. In this important book, a world-renowned scholar who is the author of numerous books—including the best-selling Jesus Through the Centuries—tells how Mary has been depicted and venerated through the ages. Jaroslav Pelikan examines the biblical portrait of Mary, analyzing both the New and Old Testaments to see how the bits of information provided about her were expanded into a full-blown doctrine. He explores the view of Mary in late antiquity, where the differences between Mary, the mother of Christ, and Eve, the "mother of all living," provided positive and negative symbols of women. He discusses how the Eastern church commemorated Mary and how she was portrayed in the Holy Qur'an of Islam. He explains how the paradox of Mary as Virgin Mother shaped the paradoxical Catholic view of sexuality and how Reformation rejection of the worship of Mary allowed her to be a model of faith for Protestants. He considers also her role in political and social history. He analyzes the place of Mary in literature—from Dante, Spenser, and Milton to Wordsworth, George Eliot, and Goethe—as well as in music and art, and he describes the miraculous apparitions of Mary that have been experienced by the common people. [From the Publisher]: The problem of change has assumed great prominence in much of the current ferment in theology, and many of the issues in question can best be interpreted as relating to the validity and limits of doctrinal development. The questions cannot be faced constructively, however, until the development of doctrine has been clearly charted, a historical as well as a theological assignment. In this unique introductory survey—more modest in scope but more scholarly in method than Cardinal Newman’s great programmatic essay of 1845—Mr. Pelikan presents three case histories of the particular doctrines that have crucial points of division among Christians. His cogent analyses of Cyprian on Original Sin, Athanasius on the Virgin Mary, and Hilary on the Holy Spirit demonstrate the interaction between the sacramental life of the Church and the intellectual work of the theologian that consistently marked the development of doctrine by the early Fathers. Thus they clarify some central aspects of the continuing theological and ecumenical debates.